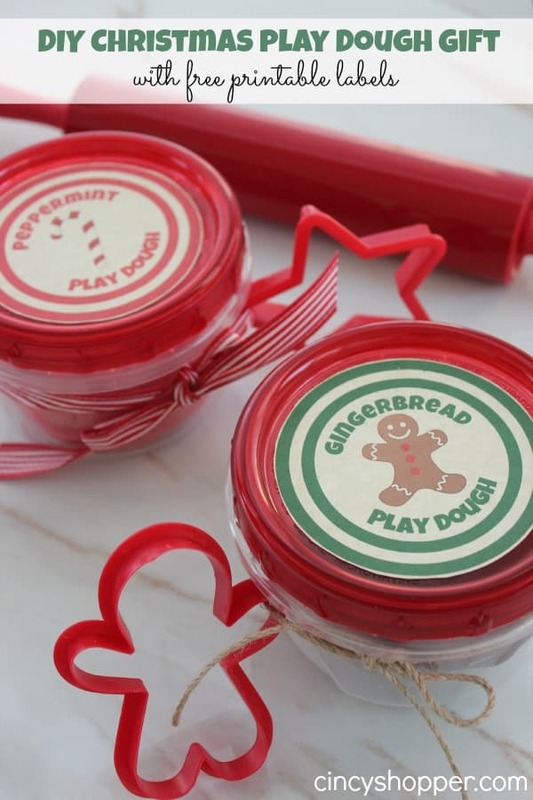 Consider throwing together this DIY Christmas Play Dough Gift for one of the kiddos on your Christmas shopping lists. These will be great as a gift for any little one. What kid does not like to play with Play Dough? Play Dough always brings out the creativity in my kids and us parents too, ha ha! 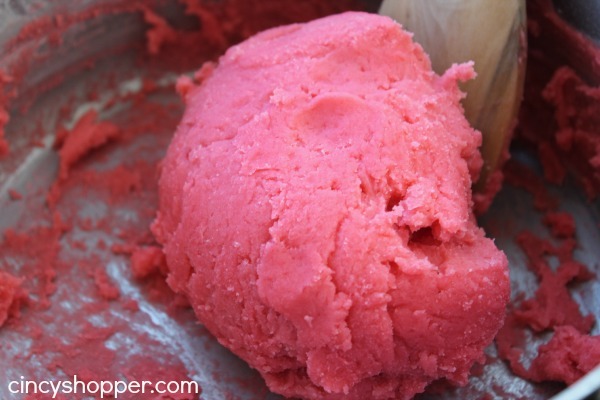 I never realized how easy homemade play dough was to make. I put these two DIY gifts together this afternoon in just a few minutes time. 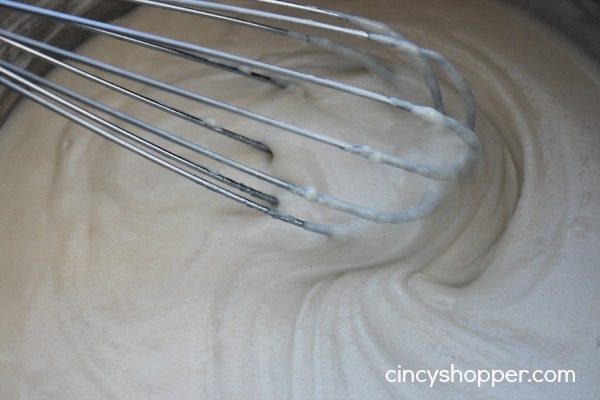 When using this homemade Play Dough recipe the scents can be endless. 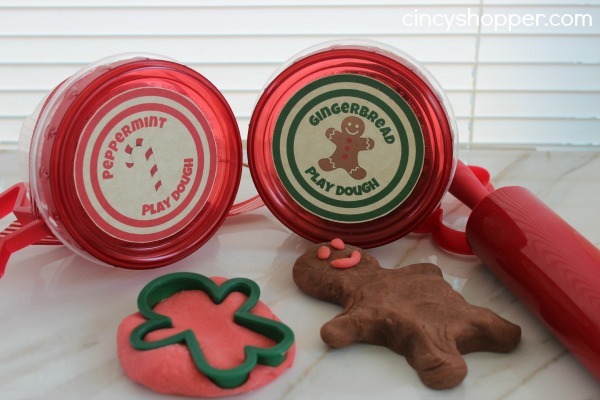 With the holiday season in full swing I thought making up a DIY Peppermint Play Dough and a DIY Gingerbread Play Dough just fit perfectly. I dropped in Kroger and snagged some Ziploc lidded containers (they also have a generic brand holiday version at Dollar General for $1 for a set of 3) and some cookie cutters found at the General for just $1 per set. Everything else was found in my cabinets. Such a quick, easy and unique DIY gift for the kiddos. 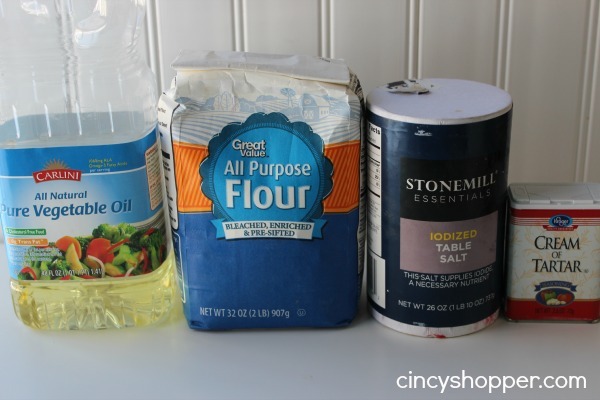 Adding in the additional ingredients to scent and theme up your DIY Play Dough is so simple. Plus, I think it really makes the play dough unique. It’s amazing that a few spices and some food coloring really spruces up the play dough. 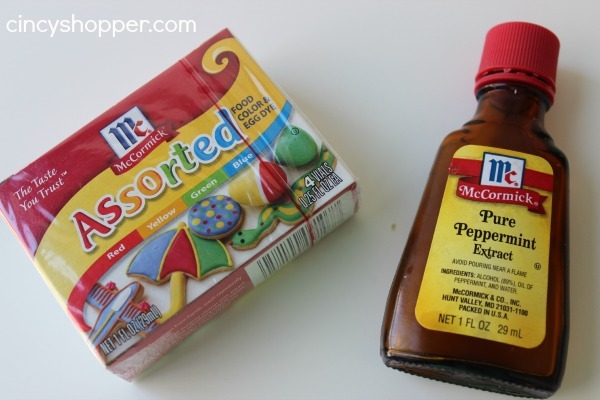 Get creative with spices you have on hand. 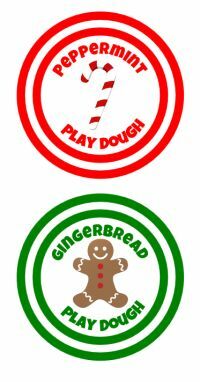 If you are looking to make this DIY Play Dough up for a gift for the holidays grab yourself some ribbon, some cookie cutters and some prints of these FREE Printable Labels (Gingerbread Play Dough and Peppermint Play Dough) that I had the hubby make up. What a great inexpensive gift! 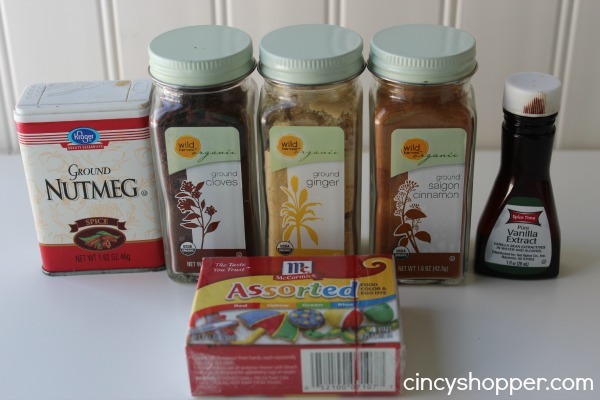 If you are needing other DIY Gift Ideas be sure to drop by Cincyshopper each and everyday for my 25 Days of DIY Gifts Series. I have already shared DIY Coffee Scrub, DIY Peppermint Scrub, Lavender Body Butter, Lemon Sugar Scrub, Cranberry White Chocolate Oatmeal Cookie Mix in a Jar Gift, a DIY Pork Rub in a Jar for the Men, A DIY CopyCat Montgomery Inn BBQ Sauce for the Men, Rudolph Hot Chocolates for the kiddos, Hershey’s Kiss Jar Gift for just about anyone (we are giving them for teacher gifts). I will be offering up some ideas for DIY Gifts for everyone on your shopping lists. you can check out all my ideas so far here. Also, be sure to follow my DIY Gifts Board on Pinterest! Such a fun idea. I’d love to do this with my kiddos for their friends. We’d love it if you would like up over at our Awesome Things Tuesday link up party. That is such a cute gift!